Adapted from and full credit to Steven E. Meredith, Laura M. Juliano, John R. Hughes, and Roland R. Griffiths and Journal of Caffeine Research. This is just a summary. See full article. Caffeine is the most widely used drug in the world. In the United States, more than 90% of adults use it regularly, and, among them, average consumption is more than 200 mg of caffeine per day – more caffeine than is contained in two 6-ounce cups of coffee or five 12-ounce cans of soft drinks. Although consumption of low to moderate doses of caffeine is generally safe, consumption of higher doses by vulnerable individuals can lead to increased risk for negative health consequences, including cardiovascular problems and perinatal complications. Moreover, a number of recent studies show that some caffeine users become addicted to or dependent on caffeine. Many of these individuals are unable to reduce consumption despite knowledge of recurrent health problems associated with continued caffeine use. Thus, the World Health Organization and some health care professionals recognize caffeine dependence as a clinical disorder. 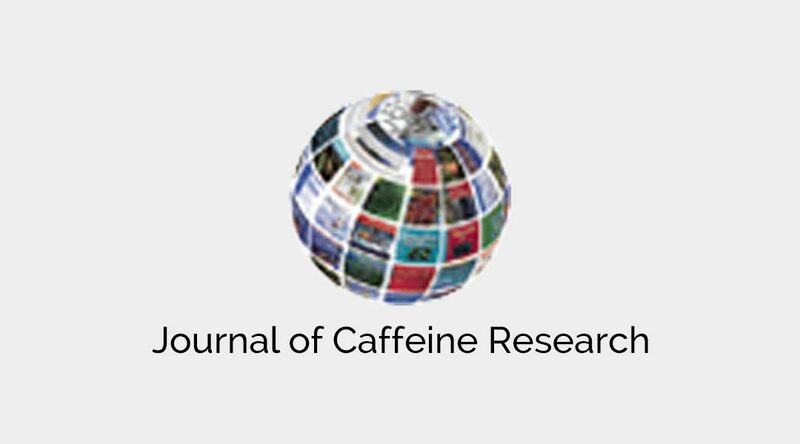 The diagnostic criterion that may be of most concern to health care professionals is continued caffeine use despite harm, or “Continued caffeine use despite knowledge of having a persistent or recurrent physical or psychological problem that is likely to have been caused or exacerbated by caffeine”. Caffeine consumption has been associated with a number of negative health consequences, including anxiety, insomnia, hypertension, myocardial infarction, bladder instability, gastroesophageal reflux, spontaneous abortion, and reduced fetal growth. In the general-population survey conducted in the United States, 14% of caffeine users endorsed use despite harm. Many participants from this study (13%) reported that a physician or counselor had advised them to stop or reduce caffeine consumption within the last year. Medical and psychological problems that participants attributed to caffeine included heart, stomach, and urinary problems, and complaints of anxiety, depression, insomnia, irritability, and difficulty thinking. In addition, two-thirds of those surveyed endorsed at least one symptom associated with Caffeine Intoxication, a clinical disorder recognized by the ICD-10 (i.e., Caffeine Acute Intoxication) and the DSM-5 (see Table 4). For example, 39% of participants from this general population study endorsed insomnia, 30% endorsed nervousness, 24% endorsed heart pounding, 18% endorsed stomachache, and 10% endorsed muscle twitching. Seven percent of participants reported that these symptoms interfered with their performance at work, home, or school. Although the World Health Organization already recognizes a diagnosis of Caffeine Dependence Syndrome in the ICD-10, the American Psychiatric Association has indicated that more research is needed to determine the clinical significance of Caffeine Use Disorder before the diagnosis may be recognized in the DSM as a clinical disorder. The inclusion of Caffeine Use Disorder in the DSM-5 should help stimulate more research on caffeine dependence. More studies are needed to determine the prevalence of Caffeine Use Disorder and the severity of functional impairment associated with the disorder. In addition, research is needed to evaluate the reliability and validity of the Caffeine Use Disorder diagnostic schema and the relationship between Caffeine Use Disorder and other behavioral and mental disorders. Most importantly, however, more research is needed to determine which methods work best to treat individuals who are currently distressed by this clinically important health problem. Adapted from and full credit to: Steven E. Meredith, Laura M. Juliano, John R. Hughes, and Roland R. Griffiths. See full article; this is just a summary.